I am an Assistant Professor of Anthropology at San Diego State University. I study the long-term effects of human land-use decisions and the bidirectional feedbacks between humans and environments. I am particularly interest in early farming and pastoralism and how these first food producing socio-natural systems evolved over time. I am a computational archaeologist, and use a combination of traditional archaeological and geoarchaeological approaches in connection with GIS, computational modeling, and computer simulation to investigate the dynamics of these systems. My work is largely based in a complex adaptive systems theory perspective. In addition to these large human-environment interaction studies, I also study households, and how people arrange and use their domestic spaces. I analyze the spatial patterning of very small artifacts (“micro-refuse”) recovered from ancient house floors as a way to get at long-term patterns in domesticity. I am also affiliated with the Center for Climate and Sustainability Studies at SDSU and the Center for Social Dynamics and Complexity at Arizona State University. Additional affiliations include the CMSDS, COMSeS/Open-ABM, CHANS-net, and the SAA. In my spare time, I like taking photographs. A wordcloud made by data-mining my recent publications for frequently-used words. Please see my Google Scholar Citation Index page for a complete list of my publications, their citation indices, and lists of works that cite them. Downloadable PDF’s of some of my publications can be found on my Academia.edu page or on my ResearchGate.net page. Please visit the following links for information about several actively ongoing field and research projects that I am involved with. 2017 Ullah, I.I.T. The consequences of Human Land-Use Strategies During the PPNB-LN Transition: A Simulation Modeling Approach. Arizona State University Anthropological Research Papers, v.60. Arizona Board of Regents, Tempe. 177p. 2018 Robinson, D.T. ; Di Vittorio, A.; Alexander, P.; Arneth, A.; Barton, C.M. ; Brown, D.G. ; Kettner, A.; Lemmen, C.; O’Neill, B.C. ; Janssen, M.; Pugh, T.A.M. ; Rabin, S.S.; Rounsevell, M.; Syvitski, J.P.; Ullah, I.I.T., and Verburg, P.H. Modeling feedbacks between human and natural processes in the land system. Special Issue: “Social dynamics and planetary boundaries in Earth system modelling.” Earth System Dynamics. 9, 895–914. 2018 Banning, E.B., Hitchings, P., Abu Jayyab, K., Ullah, I.I.T., Rhodes, S., Yasui, E., Gibbon, E., Handziuk, N., Glasser, A. Jawafat Shaban and the Late Neolithic in Wâdî Al-Bîr, Northern Jordan. Paléorient, 44(1). 57-74. 2015	Ullah, I.I.T. Integrating older survey data into modern research paradigms: Identifying and correcting spatial error in “legacy” datasets. Advances in Archaeological Practice. 3(4): 331-350. 2015	Ullah, I.I., Kuijt, I., and Freeman, J.F. Toward a theory of punctuated subsistence change. Proceedings of the National Academy of Sciences. 112(31), 9579-9584. doi:10.1073/pnas.1503628112. 2015	Barton, C.M., Ullah, I.I., and Heimsath, A. How to make a Barranco: Modeling socioecological dynamics of landscape change in the Mediterranean. Land, 4(3), 578-606. Special issue entitled, “Agent-Based Modelling and Landscape Change”, guest edited by J. Millington and J. Wainwright. 2012 Barton, C.M., Ullah, I.I., Bergin, S.M., Mitasova, H., and Sarjoughian, H. Looking for the future in the past: Long-term change in socioecological systems. Ecological Modeling, Special Issue: Modeling Across Millennia. 241(0):42-53. 2011 Ullah, I.I. A GIS method for assessing the zone of human-environmental impact around archaeological sites: a test case from the Late Neolithic of Wadi Ziqlâb, Jordan. Journal of Archaeological Science. 38(3):623-632. 2010 Barton, C.M., Ullah, I.I., and Bergin, S. Land use, water and Mediterranean landscapes: Modelling long-term dynamics of complex socio-ecological systems. Philosophical Transactions of the Royal Society A: Mathematical, Physical and Engineering Sciences. 368(1931):5275 -5297. 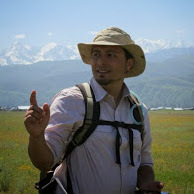 2010 Barton, C.M., Ullah, I.I., and Mitasova, H. Computational modeling and Neolithic socioecological dynamics: A case study from Southwest Asia. American Antiquity. 75(2):364-386. 2012	Ullah, I.I. Particles from the past: microarchaeologial spatial analysis of ancient house floors. In: Parker, B.J., Foster, C.P. (Eds. ), New Perspectives in Household Archaeology. Eisenbrauns, Winowna Lake, pp. 123–138. 2012 Ullah, I.I., and Bergin, S.M. Modeling the consequences of village site location: Least cost path modeling in a coupled GIS and agent-based model of village agropastoralism in eastern Spain, in: White, D.A., Surface-Evans, S.L. (Eds. ), Least Cost Analysis of Social Landscapes: Archaeological Case Studies. University of Utah Press, Salt Lake City, pp. 155–173. 2009 Ullah, I.I. Within-room spatial analysis of activity areas at Late Neolithic Tabaqat Al-Buma, Wadi Ziqlab, Al Koura, Jordan. In: Studies in the History and Archaeology of Jordan, X. The Department of Antiquities of Jordan, Amman, pp. 87-95. 2014	Banning, E.B., Abu Jayyab, K., Elendari, R., Gibbs, K., Hitchings, P., Hosseinmardi, G., Jablonkay, D., Al Jarrah, H., Letham, B., Razzaz, S., Rhodes, S., Ullah, I.I., Velgakis, J., and Weston, R. Archaeological excavations in Wadi Quseiba and Wadi al-Bîr, northern Jordan, 2014. Report on file with the Department of Antiquities of Jordan, Amman. 2013	Banning, E.B., Hitchings, P., Abu Jayyab, Elendari, R., K. Gibbs, K., Jablonkay, D., Al Jarrah, H., Letham, B., Razzaz, S., Ullah, I.I., and Weston, R. Archaeological survey in Wadi Qusayba and the Mandah Plateau, Irbid Region, Jordan, 2013. Report on file with the Department of Antiquities of Jordan, Amman. 2012 Ullah, I.I. Chapter IIb - Neixon 2011, Artifact density studies, in: Fábregas Valcarce, R., Bonilla Rodríguez, A. (Eds. ), Boiro: 5000 Anos De Cambio Climático E Explotación Do Medio No Marco De Arousa Norte Sondaxes Arqueolóxicas. E Labores De Restauro No Complexo Dos Castros Do Neixón (The Concello De Boiro and Centro Arqueolóxico Do Barbanza), Memoria Técnica. The Concello de Boiro and Centro Arqueolóxico do Barbanza. 2008 Ullah, I.I., Schuldenrien, J., and Smith, M. Preliminary report of the 2008 season of the Wadi Hasa Ancient Pastoralism Project. Report on file with the Department of Antiquities of Jordan, Amman. 2014 Ullah, I.I. Review of: Mediterranean Archaeological Landscapes: Current Issues. Geoarchaeology. 29(2), March/April, 2014. 2007 Ullah, I.I. Review of: Human Ecology in the Wadi Al-Hasa: Land Use and Abandonment through the Holocene. American Anthropologist. 109(1):216. 2002 Gibbs, K., Kadowaki, S., and Ullah, I.I. Domesticating Space: Notes on the Toronto Conference. Neo-Lithics. 1/02:21-22. Sondoss Elsawah, Tatiana Filitova, Albert Kettner, Anthony Jakeman, Ioannis Athanasiadis, Marco Janssen, Isaac Ullah, Jonathan Gilligan, Julie Rozenberg, Moira Zellner, Derek Robinson, Dan Brown, Robert Axtell. Use of socio-environmental systems modelling in actionable science: State-of-the-art, Open Challenges and Opportunities. Status: Submitted to Social-Ecological Systems Modeling, 9/14/2018. Ullah, I.I.T., Chang C., and Tourtellette, P. Water, dust, and loess: co-evolution of landscapes, farming, and human society in southeastern Kazakhstan during the mid- to late Holocene. Intended for The Journal of Anthropological Archaeology. Chesson, M.S., Ullah, I.I.T., Aimes, N., Forbes, N., Lazrus, P.K., Garcia, Y. Lane, l., Gauthier, N., Wolff, N.P.S., Robb, J.E., and Ruben, I. Laborscapes and Archaeologies of Sustainability: An Early Technoscape of Commercial Farming in the San Pasquale Valley, Calabria, Italy from 1800 – 2018. Intended for the Journal of Mediterranean Archaeology. Ullah, I.I.T., Chesson, M.S., Lazrus, P.K., Garcia, Y., Aimes, N. “Historic erosion protection infrastructure change in the San Pasquale Valley, Calabria.” Intended for Anthropocene. Ullah, I.I.T. and Arikan, B. Computer-based simulation of surface-processes, and digital reconstruction of paleoenvironment during the Early Bronze Age-I at Arslantepe–Malatya, Eastern Turkey. Intended for Geoarchaeology. Hunter, C.; Lauer, M., Ullah, I.I.T. Understanding the values of human-marine relationships in Moorea, French Polynesia. Intended for Global Environmental Change. Barton L. and Ullah, I.I.T. A dynamic behavioral ecology model of early domestication processes. Intended for Journal of Anthropological Archaeology.